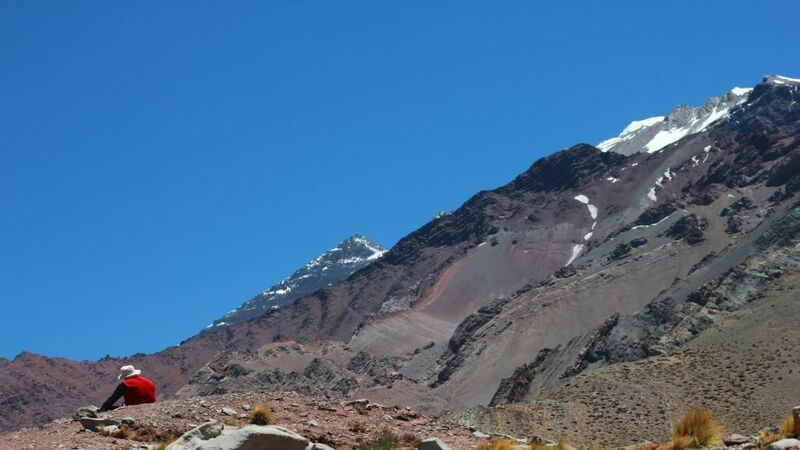 Our adventure begins at 06:00, where our guide will pass by you in Santiago, to go to the North, where the Aconcagua is. 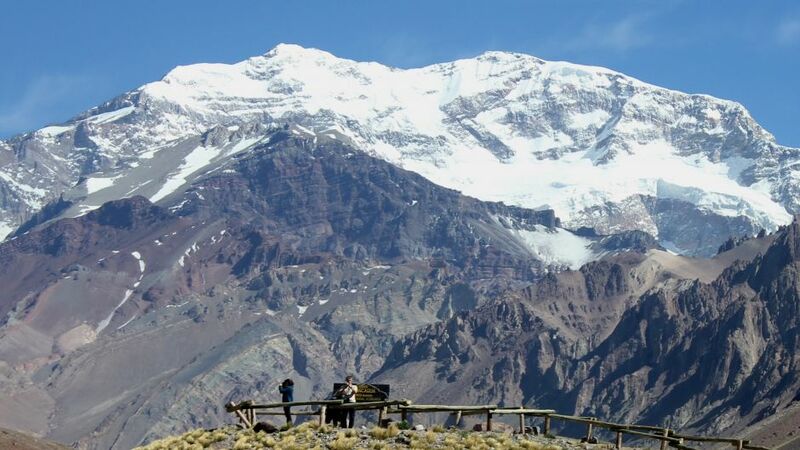 We invite you to explore the Horcones valley, which leads to the base camp of Aconcagua, the highest peak in America (6962 meters above sea level). The trecking begins at 3000 meters. 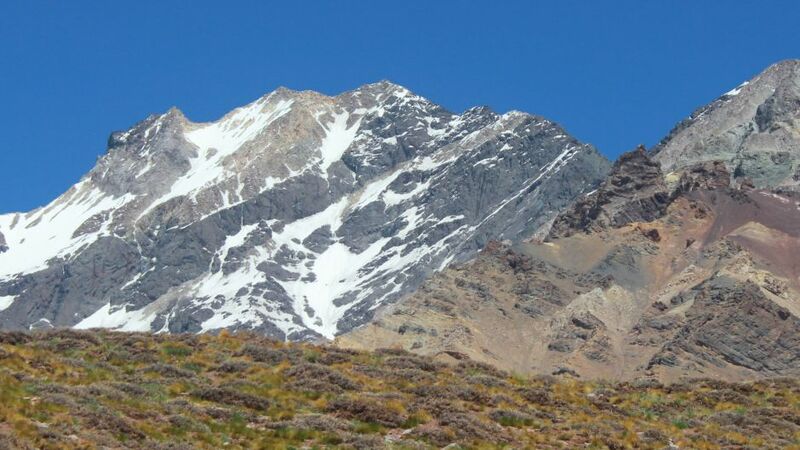 of height in Argentina, very close to the border with Chile. 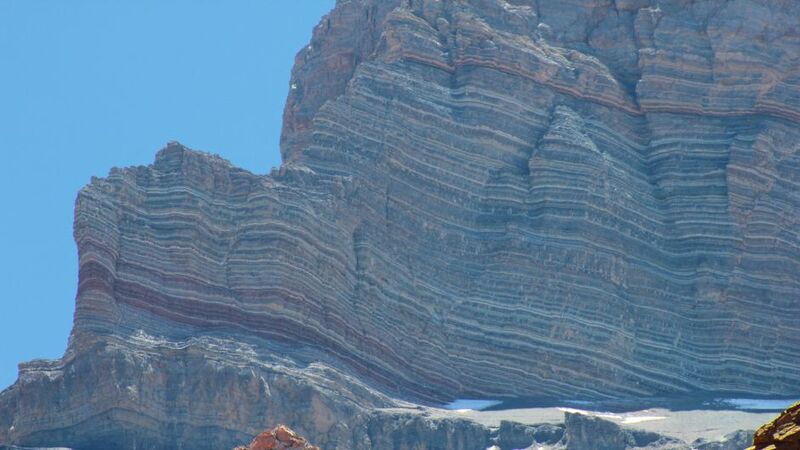 On the way we will have as a backdrop the south wall of Mount Aconcagua with glaciers that reach 300 meters. of thickness. 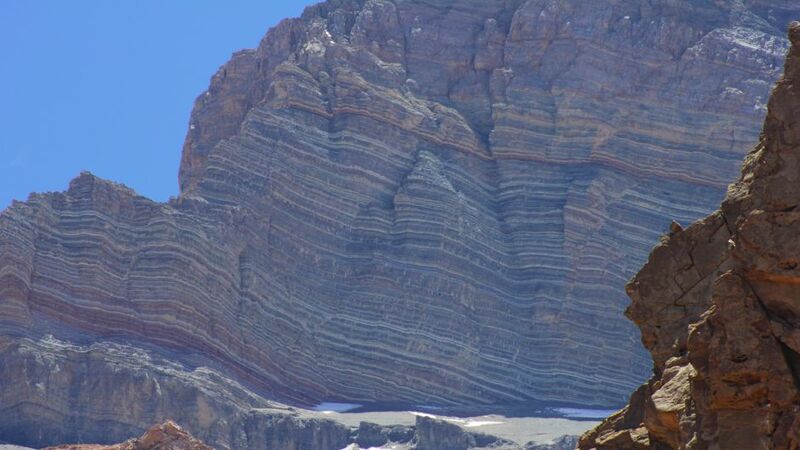 You can see different massifs, moraines that account for the passage of glaciers, lagoons, large blocks of vertical stones that seem to protect the valley. We can enjoy a prodigious vegetation of colors lit by the sun. Of the friendly, happy little birds of the visitors and their snacks. Of great birds that guard the mountains eagles, the condor, hawks, ducks. 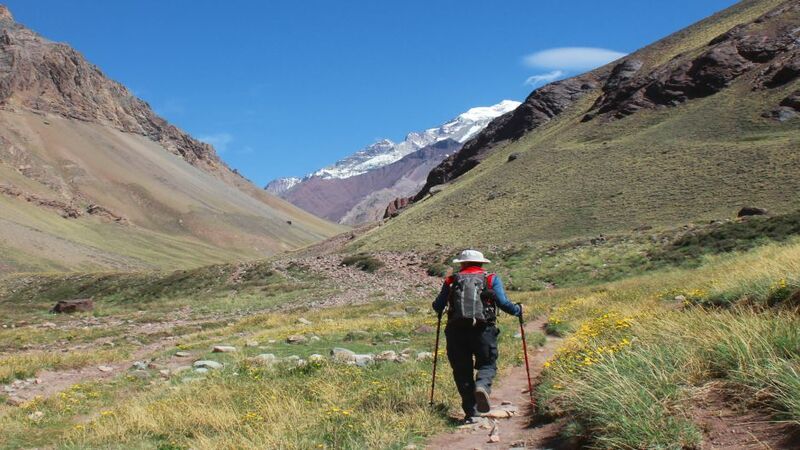 The trek lasting approximately five hours, has a moderate difficulty, allowing the enjoyment and enjoyment of pure contemplation. 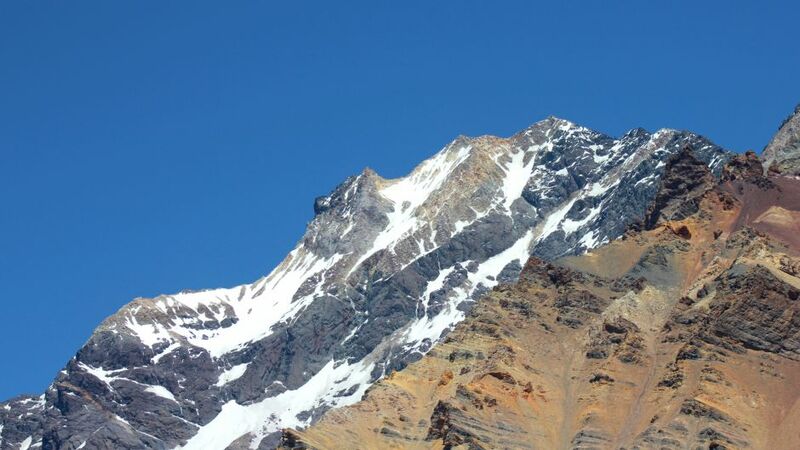 The mountain will surprise us with its ever changing landscape, with its beautiful contrasts of colors that vary with the passing of the hours. Little by little we will be giving to the magnificence of the mountain, clearing our mind of the daily worries, renewing our energies. Arriving at the base camp we can enjoy and talk with intrepid mountaineers and park rangers, inspired by a force that we ourselves will feel. We will remember the capacity for wonder of innocence, the strength of youth, the inspiration of pure beauty, the sublime. We can recognize the power of Creation with its mysteries, allowing us to be actors and witnesses of its magnificence. 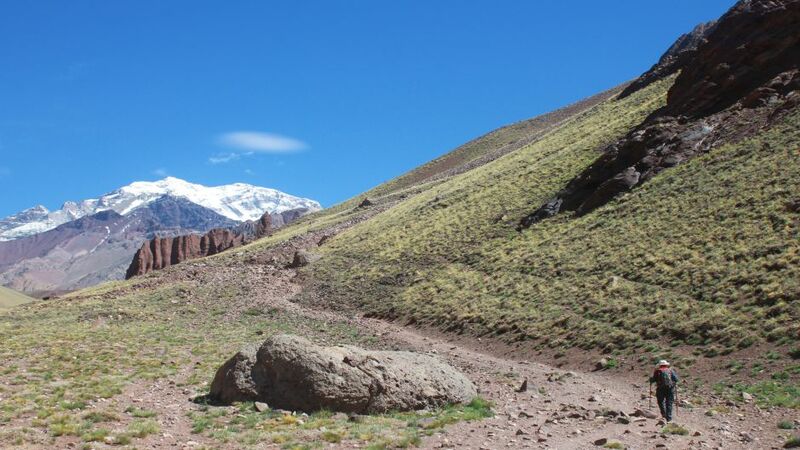 Once the trekking is over, we will return to Santiago through the beautiful Aconcagua Valley with its vineyards. Then have a well-deserved rest and treasure the experiences of an unforgettable day.